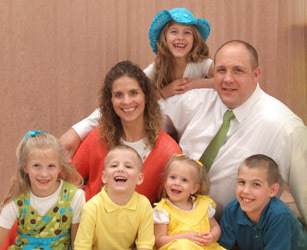 Brent and his wife are missionaries in Romania. God had been leading Brent towards Romania since he was in high school, though he did not know it at the time. Besides church planting, Bro. George and his family are involved in camp ministries in Romania. Bro. George tells about the Gypsies in Romania as well as encourages Christians to be involved in missions. This involvement can come by way of being a missionary or through gaining a greater burden to pray for missionaries through a short term mission trip. Missionary Jodi Harrison will primarily be working with university students when she moves to Salamanca, Spain. She will do this by enrolling as a student and organizing Bible study groups within the school. Jodi will help church planters in their efforts on the field by working with children and teens. The country of Spain is the least evangelized Spanish speaking country. Jodi will be taking the Gospel to the younger generation as she studies more Spanish and possibly Arabic. Visit Jodi’s website to read her prayer letters and ministry updates. Josiah Ritchie describes himself as a technology missionary. He seeks to connect missionaries and church people through the wonders of technology. Much of his ministry is helping to facilitate communications between the two groups. Join Josiah and me as we talk about how he works out his goals and how God led him to where he is in ministry today. Bro. Josiah also shares a couple of stories illustrating the power of technology to change people’s lives. One of the things he mentions is programs which teach discipleship lessons through cell phones. This is like the project missionary Brad Rhoads mentioned in his first interview on Missionary Talks episode 43. Bro. Ritchie has a website where you can learn more about him and his ministry. You can also follow his ministry on Facebook. 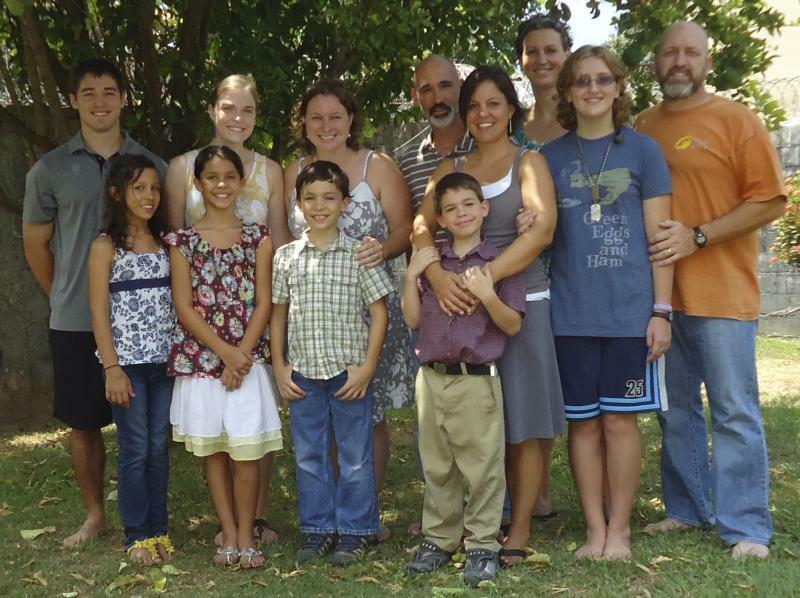 Mike Pettengill works in Honduras in a church planting ministry. Unlike many missionaries he works in a team with other missionary couples and individuals. In this episode of Missionary Talks Mike talks about some of the blessings and struggles of having a team on the field. Each team member brings his or her own abilities and skills so that the team can accomplish much more than each person individually. Another thing that Bro. Pettengill shares with the listeners is his experience of going to language school and taking his kids to the mission field at an older age than most missionaries. He and his wife worked in professional fields before being called to Honduras. We also talk a little about recreation and staying healthy on the field. You can visit the website that talks about the team of missionaries Mike works with. The Pettengill family also have their own personal website so that you can learn more about Mike and his family. You can also follow Mike on Twitter. Bro. Gene Sharp is a media technician who serves missionaries by setting up broadcasting opportunities. While the vast majority of his work is in the field of audio, he also works with video and print media. Bro. Sharp goes on location, either to churches in the US or on the foreign field, to physically put together all the equipment that is needed to make a radio or TV station operate. Bro. Gene shares with the listeners how that God has given him a special desire and ability in the field of technology. He went to Bible college to train as a missionary, and while he preaches quite a bit in his ministry, he has allowed God to lead him into the specific field where he should be serving. Bro. Sharp encourages listeners to be sensitive to how the Lord is leading in their life and to be aware of the special skills and talents the Lord has gifted them with. Bro. Gene Sharp’s ministry is called Independent Baptist Media. At their website you can read Bro. Sharp’s prayer letter and see about upcoming ministry opportunities. Bro. George Zarris is a missionary working to help pastors and other missionaries share the Gospel by means of mass media and broadcasting. Primarily his work is with radio stations, but any opportunity to help a spread the Gospel by way of TV, satellite or radio is his passion. In some cases this ministry has him talking with people inside government agencies trying to work through the legal paperwork to get a station on the air. At other times he is raising funds and physically constructing radio stations in foreign countries. Bro. George was a pastor for many years and was led into radio ministry by seeing how effective radio and TV can be in spreading any message. God led him to resign the church he started so that he could begin bringing people to the Lord through the power of radio. During the first years he learned the programing side of radio and has been using that information to help other Christian radio stations be more effective in their ministry. Listen as Bro. Zarris shares some amazing stories of what God is doing around the world through radio.